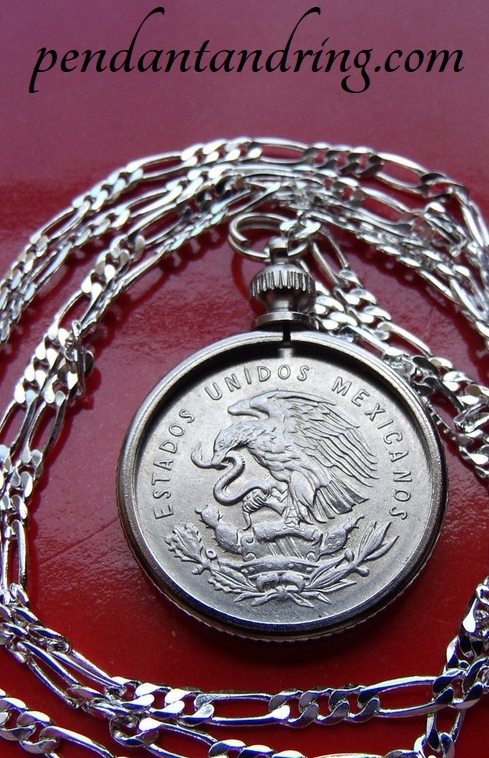 1950-1953 veinte y cinco Centavos of Mexico. 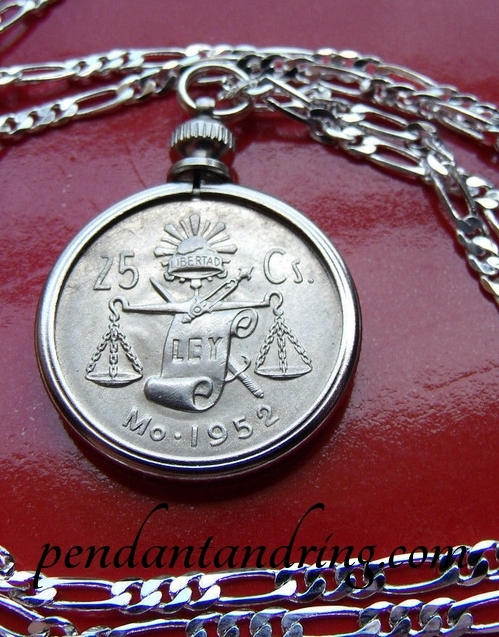 Year selection will be random 1950-1953.
pendant as nice as, or better in quality! chain shortened to size – free with purchase!